It has been a long time since I was in grade school, but there are aspects that I can remember quite clearly. I don’t know how things are done now, but back in the day we used the same books in the same grades year after year. Sometimes you would find yourself with a book that an older brother or sister had a year or two previously. 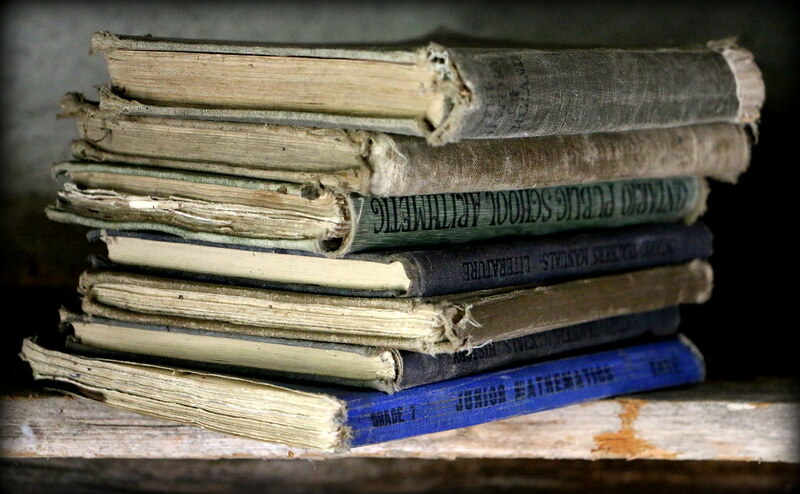 Some of the books looked as if they had been in use since confederation. If you were lucky, you would get a book that had been treated with the reverence it deserved and it would be readable without stupid notations in the margins or erased letters so the remaining letters would spell “dirty” words. Good for a laugh, but often pages would be ripped out and you would have to borrow a friends book to see what you missed. Every now and then, a book would get to the point that it was no longer of any use to anyone and have to be replaced. This would result in several editions of textbooks being used in the same class causing the teacher to tell the students with the “blue” book to turn to page 64 and those with the “red” and “purple” covers to turn to page 59. No problem for those students that were paying attention, but some of us spent most of our time watching the world on the other side of the glass. I was forever wondering what the hell was going on and often unable to find any sense in what the teacher was talking about. I suspect that in this day and age the students all get pristine new textbooks every year or two. The budgets for the school boards are larger and parents demand the absolute best for their tax dollars. I guess the idea is that the newer books have newer, up to date information that an older book doesn’t have. Maybe they are right, but my generation managed to effect social change, put a man on the moon, invent computers and develop the ability to destroy the planet in any number of unpleasant ways. All of that using old, dog eared textbooks. Every year would begin with introductions, essays on how we spent the summer and being handed the various textbooks that we would need. Along with the textbooks we would be given sheets of dust jackets which we would fold on the dotted lines and each and every textbook would get one to protect it from errant pencil marks, food stains and daily wear and tear. Usually they were supplied by a bank, an insurance company or even the textbook publishers. They came with a space to write your name, the class, grade, subject and a place on the back to make notes. I would always fold that stuff on the inside and have a nice blank white cover for all of my subjects. Within a very short time, I would be able to tell which book belonged to which class by the doodles on the covers. Very rarely would the doodles have anything to do with the subject, I wasn’t much of an artist. Surprisingly, that is one of the things I learned in school that I still use fifty years or more later. I generally just use newspapers to put a protective cover on mine and the libraries books since I don’t have access to insurance company covers. The covers protect the book from coffee stains and oily fingers. I guess not much has changed over time. I also like to use the covers so that my public reading can remain private.